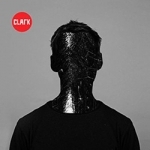 Clark’s new self-titled LP for Warp shows an electronic artist sitting at the top of his game. Seven albums in and going strong, full of delightful melodies that collide with sinister beats and unsettling sharp stabs of electro pulse. Banjo, The Grit In The Pearl and Beacon explode with emotional spendor and beauty. Elsewhere we get mellower moments Winter Linn, Snowblind, Strength Through Fragility, that intersperse with slower dirty beautiful sounds and textures. The beat driven hypnotically brilliant Unfurla is positively mesmerising with every turn in an intricate landscape. Finishing with the ethereal Everlane this is an LP that you don’t wanna miss, a masterclass that rivals Aphex Twin's similarly excellent Syro. Highly Recommended.